The York Theatre Company revives the buoyant musical. 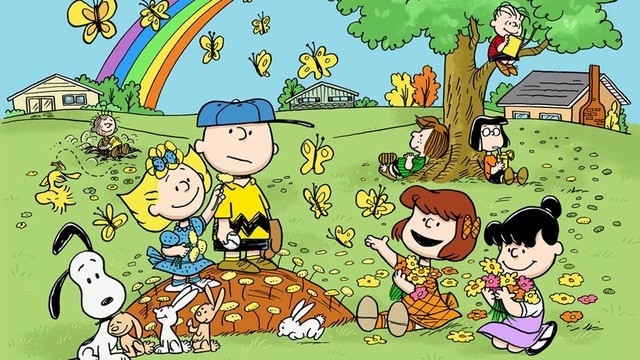 The York Theatre Company recently opened a new production of You're a Good Man, Charlie Brown. The musical is cast with a bevy of talented, confident and precocious child actors who bring the celebrated comic strip to life. Created by Charles Schulz and first published in 1950, Peanuts obviously became one of the most popular and beloved comic strips and continues to permeate the culture long after Schulz passed away in 2000. Perhaps one of the keys to the success of the cartoon is the fact that there are times when almost everyone feels like Charlie. His sense of self-doubt, lack of inner esteem and days when he feels like he is the Universe's favorite dumping ground are probably emotions which everyone has grappled with at one time or another. Particular highlights of the show include Linus (Jeremy T. Villas) dancing with a blanket in "My Blanket and Me." Equally impressive is “Suppertime” which features Snoopy (Aidan Gemme) leading the company in a dance segment sporting top hat and cane. Interestingly, the program notes state that this is probably the first production of the musical in New York which has been cast entirely with professional child actors. It has been quite some time since I have seen a production of this musical and I had forgotten how challenging it is. The pace of the musical is fast, with very little dialogue between numbers. The show, with book, music and lyrics by Clark Gesner, was originally premiered off-Broadway in 1967. The musical appeared on Broadway in 1999 in a somewhat altered version. The 1999 version is presented in the current performances. Both the 1967 and 1999 productions featured adult actors. Others can argue whether adult actors could give more textured portrayals of the comic book characters, but nonetheless it is interesting to see a musical about kids being performed by kids. The production is brightly directed by Michael Unger with choreography by Jennifer Paulson Lee. Eric Svejcar provides musical direction. The scenic design by Brian Prather is relatively spare but effective, in keeping with the generally sparse atmospheric detail of the original comic strip.